Over recent years it's been an annual presence in F1 season previews: 'Just where can Force India go from here?' Twelve months ago we all asked it once again, and the Silverstone team answered it once again. Emphatically. From its best ever fifth place in the constructors' table in 2015 it went one higher in 2016 to fourth. The only ones ahead were those with upwards of twice Force India's staff numbers and with bonus payments from FOM that outstrip its entire budget. Really, it is not clear how more could reasonably have been asked of the team. Of course, the flip side is that even with us being confounded on the point year after year it surely by now is hard to see how Force India can progress higher. Its target now has to be consolidation. This time too there is the big regulation shift for 2017 which tends to work against those with less resource. Then there is the risk of whether owner Vijay Mallya's frolics away from the track will have its impact on the team, but then again that's another thing we've been asking annually for a while. In any case, the team's series of strong constructors' placings and resultant prize money has given it some insulation from this. And compliments indeed are due to the outfit. Yes, having the jewel of a Mercedes power unit in the back is a real bonus, particularly in the hybrid era. But then again others have had this too and haven't done nearly as good a job - Williams most notably which is another team with greater budget and staff. Last year indeed Williams was beaten to that very same fourth place by Force India even though a few thought the Grove car had the more raw pace. The VJM09 seemed superior however in consistency and adaptability as well as was less problematic. And the team just seemed to make better of it all. It is beyond dispute too that at least a couple of teams behind Force India should be ahead of it and would be if they ever got round to maximising their offering (but that's another thing we seem to say annually). But Force India's doing plenty in of itself. Its wind tunnel programme, these days at Toyota's facility in Cologne, is a highly effective one; it's easy to forget too that the car in 2016 once set the second quickest qualifying time (in Baku) and another time the third quickest (in Austria). More generally it is a lean, efficient and motivated operation with plenty of talent. As for this season, many observers were impressed with the Mercedes-esque detail on the new car, though its 'snorkel' nose tip and step over the front suspension gave it an ugly duckling air. The first Barcelona test didn't tell us much about where it is competitively as it didn't draw attention on lap time or mileage. Observers reckoned it looked decent enough on track but not yet much more than that. 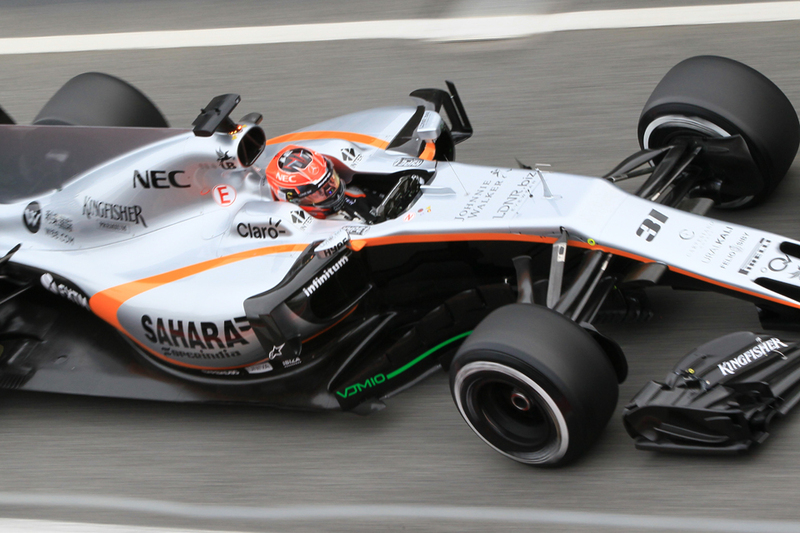 But that brings us to another thing that Force India has done before - developing its machine superbly in-season. Indeed in the past couple of years it started the season with a rather basic model and then introduced something like a B-spec mid-term which delivered a clear second wind. And we should be extremely cautious of declaring the start of Force India's downward curve. Despite as outlined plenty of predictions to that end, none have yet been proved right on that one. A clear best-of-the-rest behind the 'big three' teams in the 2016 drivers' table with upwards of 100 points. There really should have been little to quibble with. But that many still seemed a bit cautious about it all says something about the traditional view of Sergio Perez. 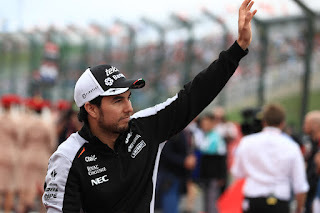 As often seems the case with Checo the high points last campaign were very high. He made two more podium appearances - in wet-to-dry Monaco he timed both stops perfectly, benefitted from others' delays and drove aggressively to third. While Baku was his best weekend of the year, with his qualifying mark good enough for the front row (though sight should not be lost that it was his own error that got him his grid drop) and then some more classic Perez gentle tyre-handling and tough resolve pushed him up to third place in the race. But despite this the evidence over time is that Checo has become a complete performer. Some had doubted his raw speed - suggested his occasional strong results owed much to a gentle touch on the delicate Pirellis. But in the past 18 months - since a set-up breakthrough - there has been almost nothing between him and his highly-rated then-team mate Nico Hulkenberg on qualifying pace. For much of the same period the Mexican's race delivery has been pretty consistent too, and last year from Germany onwards he scored everywhere and almost never under-performed. Perhaps it's about time we had a Checo reevaluation. There are many reasons for Force India's persistent punching above its weight, and one we forget about perhaps is that in an increasingly rare characteristic it gives driving talent its opportunity. 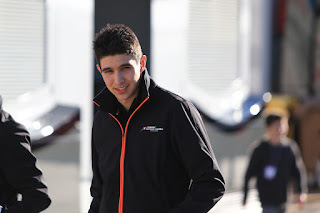 This year, having let Nico Hulkenberg get his break at a manufacturer team, it's sticking to that by recruiting the prodigious Mercedes protegee Esteban Ocon. He is one well-known to the team. He has twice driven in tests for it, and the squad was impressed with his pace and feedback. That he was picked for the race seat ahead of the other Merc young pup (and Manor team mate in the latter part of last season) Pascal Wehrlein raised a few eyebrows, particularly as when they were paired Ocon only qualified ahead twice in nine attempts. This may have been a consequence though of coming in as a rookie mid-season and indeed in practice and race pace there often was little to tell. Wehrlein claimed that it reflected an assessment of personality as much as driving talent (some indeed suggest Wehrlein is abrasive), but it's worth reflecting that Force India has ran Wehrlein in a test too so is in a position to make a direct comparison on pace and everything else. In any case perhaps evidence of Ocon's star during his brief Manor spell was elsewhere. In the Brazil rain he left Wehrlein behind to the tune of 1.5 secs per lap, as well as battled in the points until the penultimate tour. He also managed to even out-Alonso Fernando Alonso in Malaysia's opening corners, by vaulting no fewer than ten places. We also could rewind further and note that he beat someone called Max Verstappen to an F3 crown. Ocon is one to watch.